Held in hundreds of communities nationwide, and around the world, on the first Sunday in June. Proposed rule would require breast density reporting and enhance the FDA’s ability to enforce compliance. 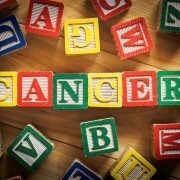 To put a spotlight on the types of cancer that largely affect children and survivorship issues. Some women should start screening earlier because they are at higher risk for developing breast cancer or having more aggressive disease.